 Industrial Clutch Parts Ltd. distribute a complete range of WPT Power Grip PO Clutches. Ideal for use on in-line and shaft-to-shaft power transmission applications. As the Number 1 distributor for WPT Power Transmission, ICP ensures prompt delivery for our customers to experience greater efficiency and less downtime. WPT Power Grip PO Clutches are manufactured with a large diaphragm actuator to provide maximum torque and compensate for wear on your clutch application, whilst minimising release drags to create a long lasting and reliable performance. WPT has designed the PO Clutch with oversized release springs and plate separators to ensure quick positive plate separation. The Power Grip Clutch is useful as a coupling clutch for shaft-to-shaft applications, due to working in conjunction with either a quick change or standard driving adapter. All Power Grip Clutches come standard with mechanical lockup feature for emergency use, providing the utmost safety for your application. ICP holds stock of split friction discs and air-tubes to assist Power Grip Clutches for easy and efficient maintenance. The air actuated and air-tube design allows for smooth and controlled operations, via a simple air release valve.